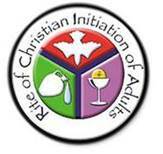 The Rite of Christian Initiation of Adults (RCIA) is the process through which interested adults and older children are gradually introduced to the Roman Catholic faith and way of life. Children who were not baptized as infants are also initiated through an adapted process of this rite, sometimes incorrectly referred to as the Rite of Christian Initiation of Children (RCIC). For those who join an RCIA process it is a period of reflection, prayer, instruction, discernment, and formation. There is no set timetable and those who join the process are encouraged to go at their own pace and take as much time as they need. However, on average the process takes between eight to twelve months, but it can take up to two years or more. Those who enter the process are expected to begin attending Holy Mass on a Sunday, attend a weekly RCIA session, and to become increasingly more involved in the activities of their local parish. For more on the RCIA read A New Look at the RCIA.